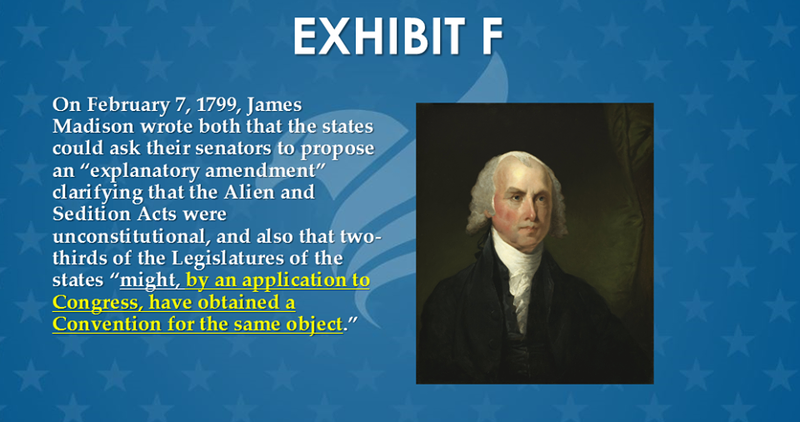 The preceding Part I and Part II, containing Exhibits A through G overwhelmingly establish the laser-focus of the Compact for America approach on advancing and ratifying a specific amendment is four-square what the Founders expected from Article V. Simply put, the Founders clearly meant for the Article V convention’s agenda to be set in fine detail by the state legislative application that triggers the convention call, including the amendment to be proposed. With its multiple safeguards, the Compact approach ensures this happens in the real world, not merely as a matter of legal theory. If you agree, please like and share. 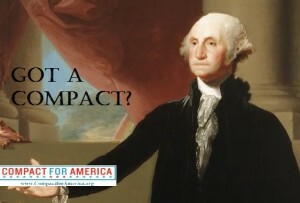 For more information and how to get involved, visit the Compact for America Website. 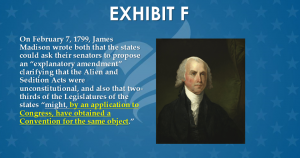 Like the Compact for America on Facebook and follow Nick Dranias on Twitter.